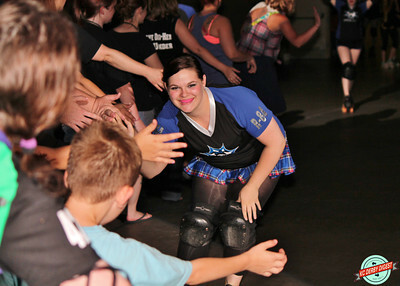 The Blacksnake Rollergirls of St. Joseph have a way of putting on some of the best derby nights in the Kansas City area. The four teams, while relatively new to the sport, are tenacious, aggressive, spirited, and above all, well-matched. That’s really what fans come to see — exciting, competitive, impassioned roller derby that, dollar for dollar, really can’t be matched anywhere else in the world of Kansas City sports. Well, as you can imagine, the BRG didn’t disappoint, and we have the game photos. The Venomous Vixens brought home the win against a fiery Rushin’ Rollettes team by a score of 81-75, and the Danger Dolls handled the formidable Jesse Janes 95-54. Special props go out to Lucy Brawler, Nic NailHer, and Little Miss Rampage for stepping up and skating with a Jesse Janes team that was short a few ladies due to uncontrollable circumstances. Their sportsmanship and willingness to, you know, skate in back to back games helped the show go on as scheduled. We would be remiss if we didn’t also send out an extra helping of mad derby love to Lucy Brawler who, whilst temporarily wearing Jesse Janes red, snapped her ankle with half a second left in the game and is already out of surgery and doing well. 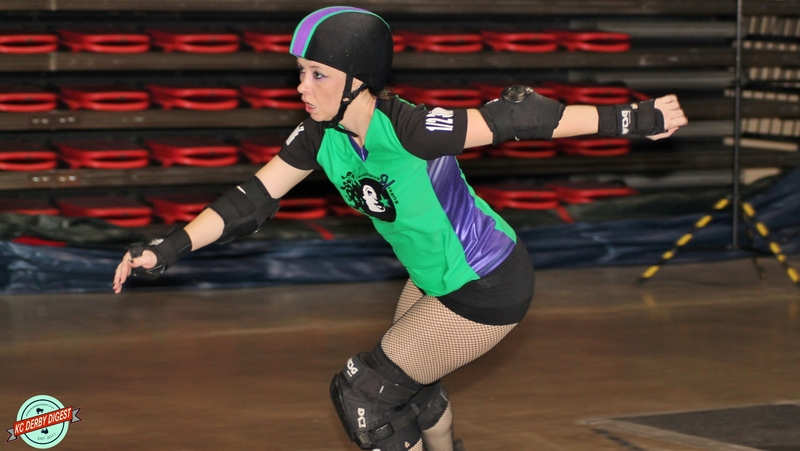 Lucy tells us she’ll be out for the remainder of the season, but you can expect this pertinacious terror on eight wheels to be back on the flat track and cracking skulls for the Venomous Vixens in ’14. As always, many thanks to the incredible Blacksnake Rollergirls for another fantastic night of flat track action in St. Joseph, and we look forward to many more.